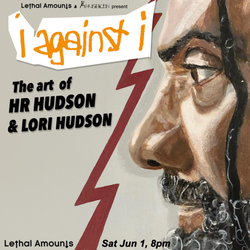 Posted March 30, 2019, 4:36 p.m.
Los Angeles art gallery Lethal Amounts has a new art exhibit of work by HR and Lori Hudson, HR Hudson being best known as Paul "HR" Hudson of Bad Brains. Lori Carns Hudson is an acrylic painter with a focus on portraits that explores themes of connection and loss. Titled "i against i," the art show begins on April 1. HR is currently performing with HR & Human Rights and is working on a solo album. Posted March 10, 2019, 1:18 p.m. 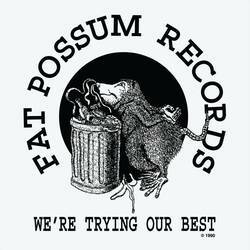 Fat Possum Records and Tyrant Books is offering a limited first edition of Bare & Real - Iggy Pop, a book of photos by Paul McAlpine, documenting the Pop's 1977 The Idiot tour "and onward." The Idiot tour is notable beyond Pop's own performances int that Blondie opened and David Bowie played piano. McAlpine has also photographed The Cars, Queen, Aerosmith, Boston and other 1970s-1980s artists. The first edition of the book is limited to 1,000 copies. Posted Feb. 23, 2019, 2:01 p.m.
Posted Feb. 9, 2019, 12:40 p.m.
Posted Jan. 13, 2019, 10:59 a.m.